Businesses that have 15 or more employees would be required to provide paid sick leave for their employees under a measure that passed the Senate on Thursday by just enough votes to override a promised veto from Gov. Larry Hogan. All of the senators who supported the bill were Democrats. Four Democrats joined 14 Republicans to vote against it. Supporters described the bill as an important measure for people who struggle to make ends meet and can't afford to miss work when they are sick. Sen. Thomas "Mac" Middleton, the Senate Finance Committee chairman who crafted the measure, said people who don't have paid sick leave lose 20 percent of their weekly paycheck, if they are too sick to come to work. "And when you look at those people that are impacted by this, they're not wealthy people," said Middleton, D-Charles. "They're the person that was in the elevator with a ladder. Those are the type of people that this bill is intended to address." But critics say the bill will hurt small businesses and reduce jobs. "There's companies out there that are going to be affected by this, and those companies are going to cut back employees and the unemployment rate is going to go up," said Sen. Wayne Norman, a Republican whose district includes Harford and Cecil counties. The House of Delegates also has passed a bill. The two chambers will have to reconcile some differences to send the measure to Hogan before the session ends April 10. One difference in the bills is the number of sick days a person would be allowed to earn. The House bill would require six days of sick leave; the Senate bill, five. The House bill passed with 88 votes, three more than needed to override a veto. 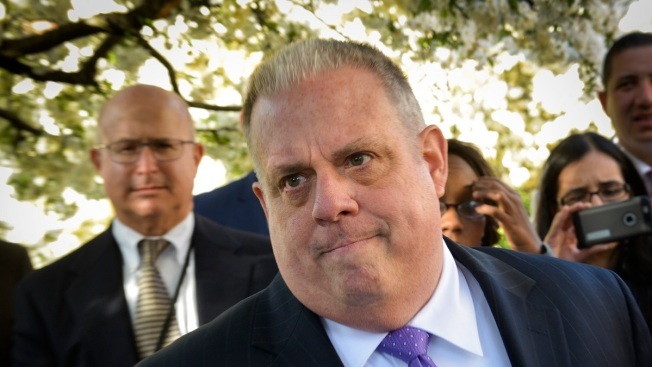 Hogan, a Republican, has a bill of his own that would require paid sick leave for businesses with 50 or more employees and provide tax incentives to smaller businesses that provide leave. He says the bills moving through the legislature go too far. He pledged to veto the legislation at a news conference Wednesday. "Governor Hogan supports common-sense paid sick leave," said the governor's spokeswoman, Amelia Jaffe. "What the Senate passed today is not common sense and will directly threaten Maryland small businesses and jobs. There is still time for the legislature to come together with the governor and pass a bill that will provide needed benefits for hardworking Marylanders without hurting our small-business job creators." Debra Ness, president of the National Partnership for Women and Families, said Maryland is moving closer to becoming the eighth state to pass a statewide law for paid sick days. "The Health Working Families Act is a reasonable, common-sense measure that would benefit the state of Maryland and its workforce, businesses and economy tremendously," Ness said. "Some 750,000 working people in Maryland cannot earn a single paid sick day, including half of full time workers in the state who are paid less than $35,000 a year."